The horse is perfect in all its parts—a splendid steed, saddled, bridled, and otherwise completely caparisoned. In it there appears nothing amiss—nothing to produce either wonder or alarm. But the man—the rider? Ah! About him there is something to cause both—something weird—something wanting! 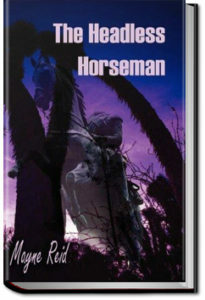 The Headless Horseman is a novel by Mayne Reid is based on the author’s adventures in the United States. The Headless Horseman or a Strange Tale of Texas was set in Texas and based on a South Texas folk tale. This entry was posted in Reading on November 14, 2017 by all-you-can-books.